Maytag 30" electric combination wall oven and microwave. With a 5.0 cu. ft. capacity oven, a 1.4 cu. 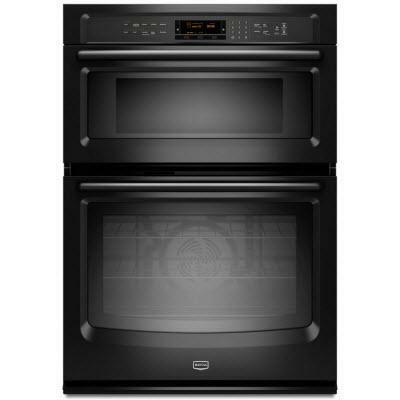 ft. microwave built-in and a 10-year limited parts warranty on the elements, this 30" combination oven is made to last. 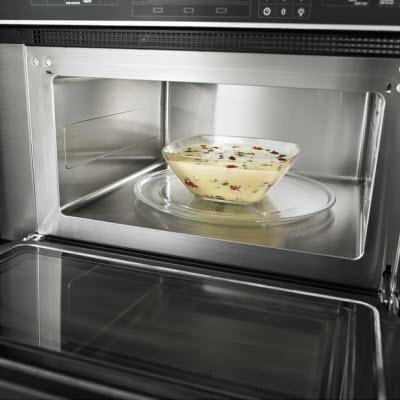 Easily check on advanced features like 8-minute Power Preheat or EvenAir™ true convection using the 4.3" LCD screen. The sensor microwave with drop down door turns this unit into an all-in-one cooking station to free up counter space for preparation. Total Capacity 6.4 cu. ft. / 0.18 cu. m.
Main Oven Capacity 5.0 cu. ft. / 0.14 cu. m.
Additional Information Power Preheat your oven in 8 minutes; Precision Cooking™ System with Precise Preheat, PreciseBake and PreciseBroil; Variable Broil; Standard Oven Racks: 3; Keep Warm™ Oven Setting; EvenAir™ True Convection with Third Element and Auto Conversion; FIT System offering Streamlined Installation; Panoramic View Oven Window; Heavy Duty Roll-Out Rack; 4.3" LCD Touchscreen Oven Control; Self-Cleaning Oven with Adjustable Cleaning Levels; Hidden Bake Element; Cabinet Installation. Capacity 1.4 cu. ft. / 0.04 cu. m.
Additional Information Quick Touch Settings : Add A Minute, Baked Potato, Cook, Defrost, Favorite, Popcorn, Reheat; Sensor Cooking; urntable Diameter Size 14 1/4". Additional Dimensions Cutout Height : 41 5/16"; Cutout Depth : 24"; Cutout Width : 28 1/2"; Cutout Height : 41 5/16". 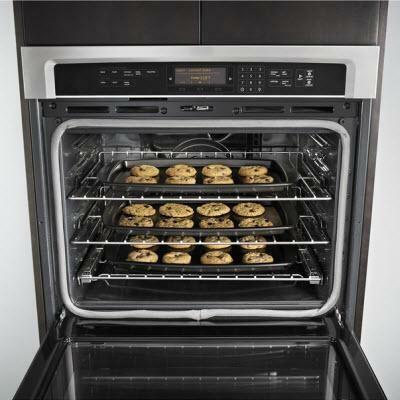 Warranty 1 year limited parts and labor; 10-Year Limited Parts Warranty on Oven Elements.